Use your existing MyMercy account to manage your health information and communicate with your doctor on your mobile devices. 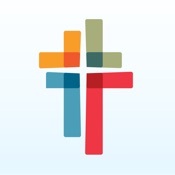 You must first create an account through www.mymercy.net. If you require support accessing your existing account, contact us at 1-888-98-MERCY (1-888-986-3729) or visit www.mymercy.net for more help options. There's and app for that too. Check out our catalog of healthcare mobile apps. Use the scroll bar to view full list.